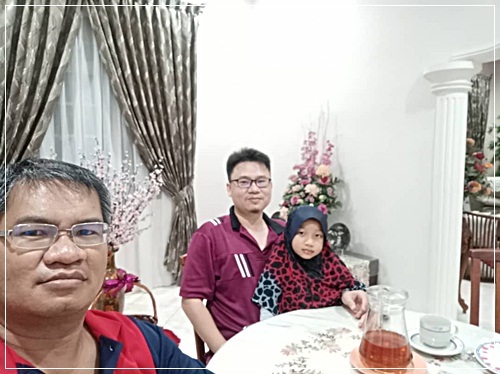 Mr. Abdul Aziz Abdul Rahman, a friend who is now teaching in SMK Mohd. Khalid, came to my house for some work-related matter. Since the Eid cookie jars were still placed on the dining table, I guess this should be some kind of post Eid visit. It is never too late to visit a friend. Guests are always welcomed to my house - if the timing is right. However, this should be the very last visitors of the Eid season, but you will never know. "The ornaments of our homes are the friends that visit it."